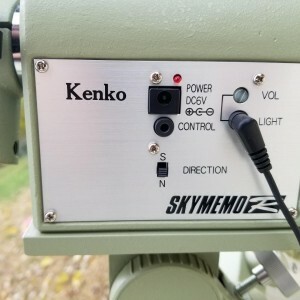 REDUCED Kenko Skymemo R for sale/trade Sold! 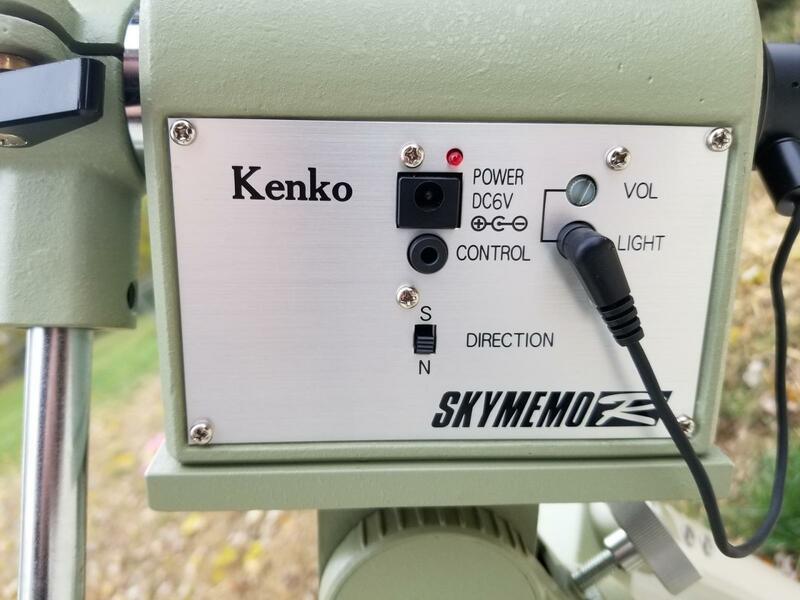 Hello folks, I have an older Skymemo R for sale. 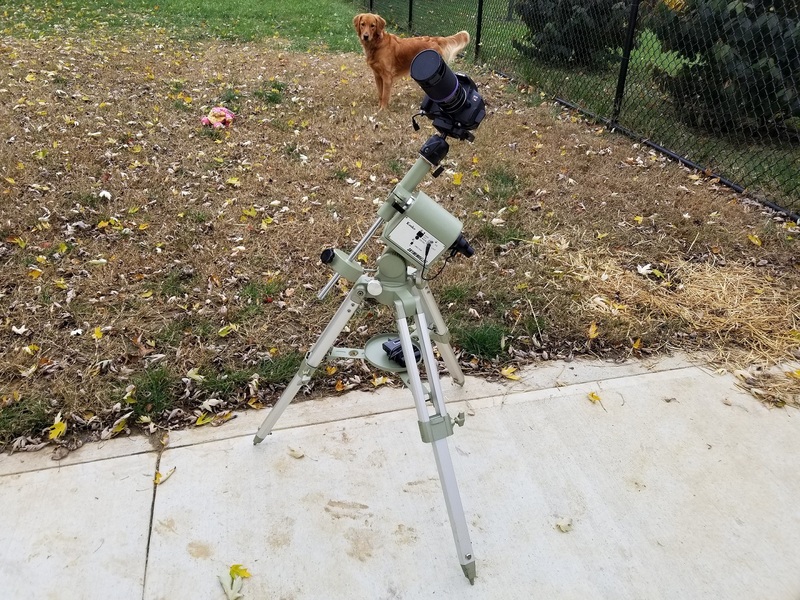 I recently came to acquire this secondhand, but I do not see myself using is as I already have a few other mounts. 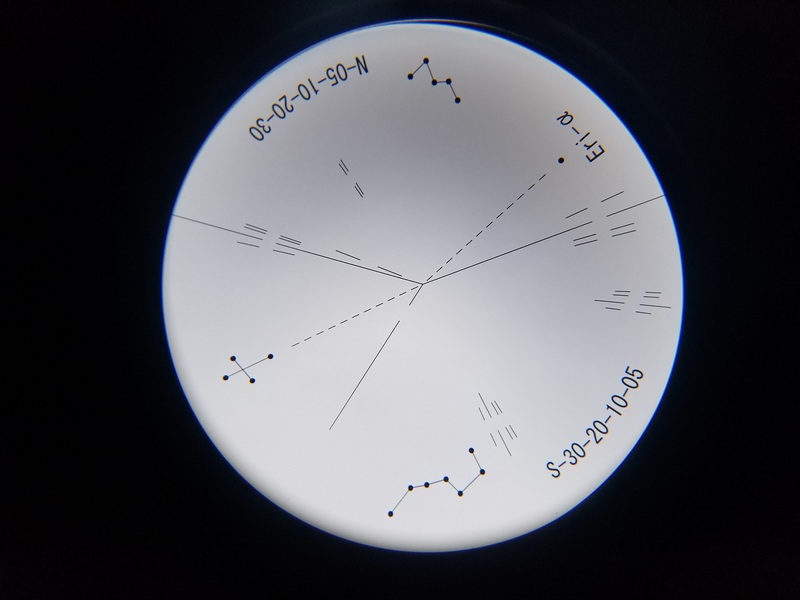 I have had it out a few nights now and it seems to track very well. 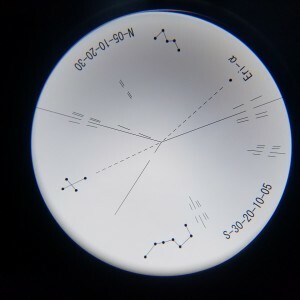 Without a doubt this is the quietest mount i've ever seen, you can't even tell it's on by noise. Other than a few dings on the bottom of the legs, it is in good cosmetic shape. 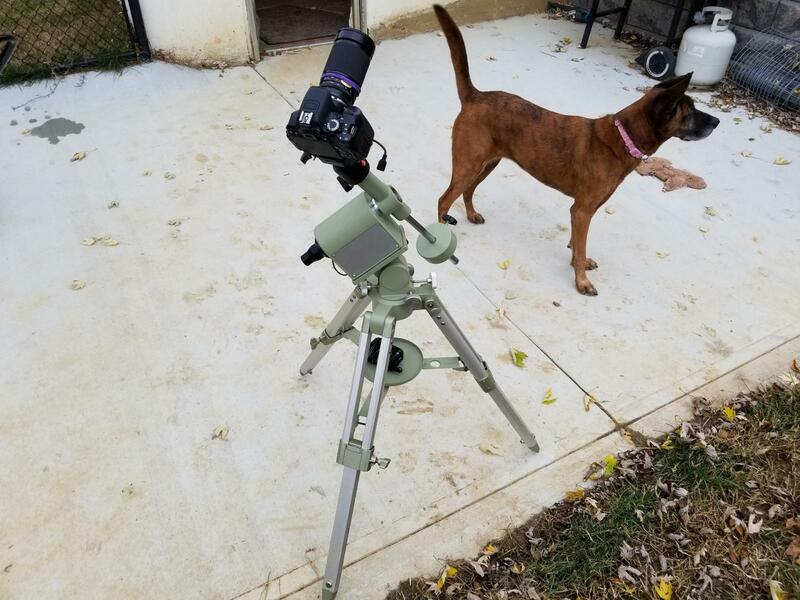 The included tripod is very sturdy. 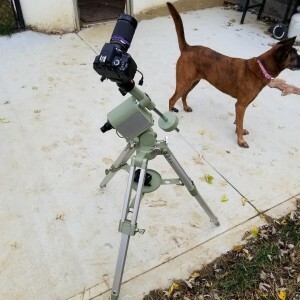 The mount is equiped with a Manfrotto ball head adapter. It will be included along with the adapter plate. I am missing the Original Battery pack and Controller, though they are not neccessary to operate the mount. It begins operation as soon as it's powered on. The Integrated Circuitry on the control board has been replaced, as it is not uncommon for people to plug in the wrong polarity power supply and fry it. THIS MOUNT REQUIRES A NEGATIVE POLARITY POWER SUPPLY. DO NOT USE ANY OLD AC ADAPTER. I WILL INCLUDE A FUNCTIONING NEGATIVE AC ADAPTER. I'm looking for $450 + shipping $400 SHIPPED, but am also willing to trade for a Triplet or nice Doublet. Please send me an offer if you are the least bit interested, the worst that can happen is I politely decline. Thanks for viewing!